Due to an occupied recording booth, George and I took advantage of the lovely weather and recorded outdoors for our Poolside Playoff Preview Podcast 2019. In this episode, we break down each of the eight playoff matchups, give our predictions, and discuss who should win it all. In extra detail, we go through our expectations for Nashville’s matchup against the Dallas Stars. 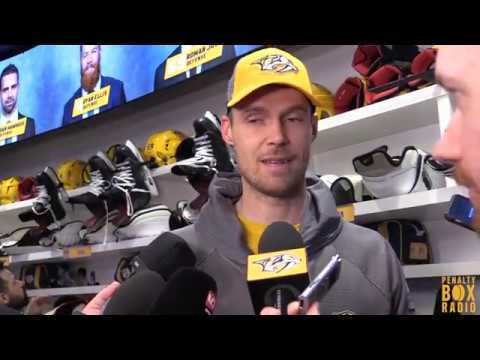 What kind of challenges with Dallas offer Nashville, especially behind the bench? We discuss. George also shares the story of his daring fire rescue, for which he was charged $20. Apologies in advance for any breaks in the audio; it was not uncommon that we paused to let an airplane pass overhead. As always, feel free to reach out to George (@GeorgeM1019) or Michael (@WadeM117) on Twitter or leave a comment below!